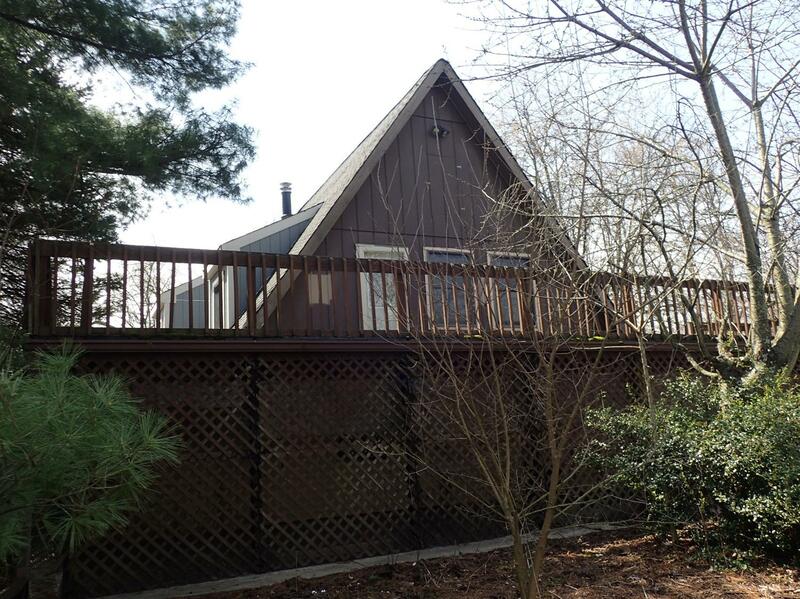 3 bedroom, 2 bath chalet w wrap around deck located an acre mostly fenced. LL eat-in kitchen w island & walkout. 1st floor living room & master suite w adjoining bath & walk in closet. Large LL family room w stone fireplace. Detached 2 car garage. Septic system must be replaced.